The GDPR which came into effect on May 25th 2018 has had significant implications on all businesses. 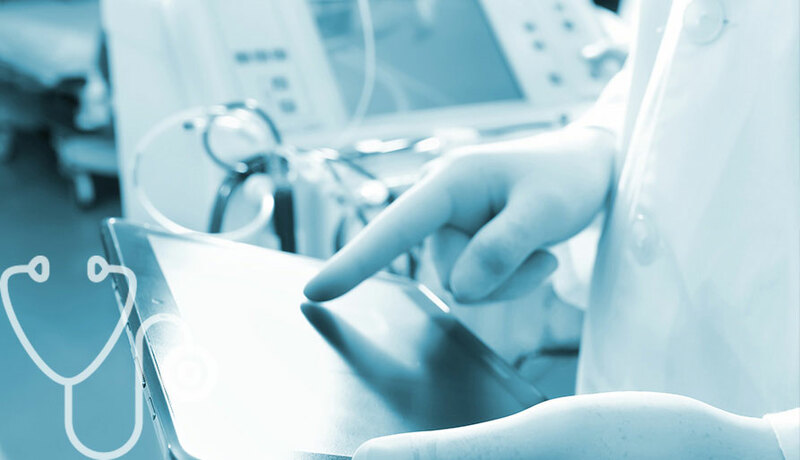 However, due to the level of confidentiality of patient information, the GDPR has laid out specific information for healthcare organisations meaning large scale changes will need to be made. Notably, healthcare data (personal, genetic, biometric) under the GDPR will be subject to a higher standard of protection than personal data in general. Wizuda Compliant File Share (CFS) provides a secure way for your organisation to share personally or commercially sensitive data internally and externally with third parties. Wizuda CFS replaces sending such data over email, which is inherently insecure, and removes the need to transfer large files using methods such as USB, WeTransfer and Dropbox. The secure file share features, coupled with a multitude of compliance features, enables your organisation to share information securely and in compliance with the GDPR. Avoid the most common data breaches which occur over email. Secure and protect your data – automatic encryption of data both at rest and in transit. Reduce risk of ransomware attacks. Know and control where your data resides. Prevent data leaving your organisation from going to undesired domains and countries. Control who can access the data, and from where, internally as well as externally. Streamline organisational file share processes with one centralised solution. A more efficient and secure way of sharing data which will clearly show your customers how seriously you take GDPR compliance. Put more controls and workflow approvals in place to proactively mitigate risks of a data breach. Robust reporting that can easily pass a data protection audit around file sharing/ data transfer activities. The Wizuda Compliant Data Transfer (CDT) solution enables IT to secure and manage the movement of critical data within your organisation and with external parties from one centralised solution. Guaranteed file delivery, full audit trails, automated health checking, and instant reporting on all transfer activities; Wizuda’s fully scalable CDT solution enables you to increase operational efficiencies and regain full control of your organisation’s file transfers. Built with Privacy by Design, it provides a centralised hub with the compliance elements needed for the management of all organisational data transfers in accordance with the GDPR requirements. One centralised solution for the management and automation of all your organisations data transfers. Proactively identify issues before they impact the business. Reduce exposure to cyber-attack and single points of failure. Increase control and visibility of all transfers and demonstrate compliant processes. Reduce overheads by moving to one centralised secure scalable platform. Get real-time maps of our organisation’s data transfers. Enable IT to demonstrate compliant data transfer processes and pass audits more easily. To proactively identify file transfer issues before they impact the business. Reduce exposure to cyber-attack by replacing insecure ad hoc scripted batch processes and bespoke tools with one centralised solution. To get real-time maps of your organisation’s data transfers and demonstrate compliant processes. "We selected Wizuda’s CFS solution because it offered the most in terms of security and data protection features, especially in terms of alignment with the practices encouraged by the incoming GDPR. Our members need to know that their personal data is in safe hands and that they can trust that we, as an organisation, have taken all reasonable measures to protect it." "Wizuda’s CFS has enabled us to demonstrate to our customers that our data transfer systems were very secure and there was an auditing and reporting system in place, so our customers could see how we treat their data. Not only has this increased trust among our customers, it has also increased business from them as a result." "With the Government being very clear about its commitment to strengthening Manx data protection law to reflect the upcoming GDPR, it’s vital for ourselves and businesses across the island to be able to clearly prove their compliance. Using Wizuda for our file sharing requirements is a key part of our overall compliance programme. The implementation was really straightforward and the software is very intuitive, providing us with the security, controls and visibility we need over our data sharing activities." "The security and confidentiality of our data is obviously of paramount importance to us all at Pieta House. With the upcoming GDPR, and its emphasis on accountability, it’s also vital that we can show that we have processes and systems in place to clearly show our full commitment to compliance. We found the implementation and roll out of Wizuda a very straightforward project and the central platform for data sharing that it has given us is not only a key part of our overall GDPR compliance programme but has also delivered significant operational efficiencies." "Wizuda’s CFS solution was implemented quickly and flexibly, and our employees were up and running straight away. The audit trail availability simplifies data protection audits, providing us with an understanding of our own compliance and how we could prove we were sharing files compliantly under the GDPR in the event of a data protection audit. As well as this, no file size limitation adds real value to the running of our business, and indeed to any marketing agency, allowing us to send and receive unlimited sized files to internal and external parties." "The implementation process was quick and easy, particularly because we chose the hosted model. This removed the need for in-depth IT intervention on our side and meant we were up and running very quickly with minimal disruption to our core business. We would highly recommend Wizuda’s Compliant File Share solution to any financial services organisations who are reviewing their file sharing protocols." "Wizuda’s CFS empowers our organisation to share files compliantly and securely, which is something we wanted to make available to our clients." 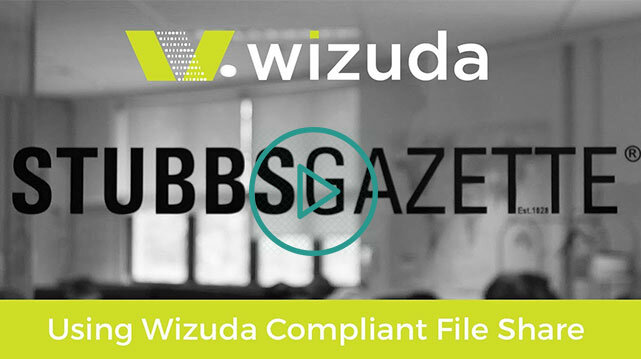 Wizuda’s CFS solution was the perfect solution for StubbsGazette, providing them with a highly secure, easy-to-use, and GDPR compliant file sharing platform. StubbsGazette can now share files internally and externally and interactions with clients has become much simpler. “Our company has benefited from implementing Wizuda’s CFS solution by giving us great comfort in knowing that all the data we are sending to our customers, suppliers, and third parties is being treated securely and is only available to the people that require it. 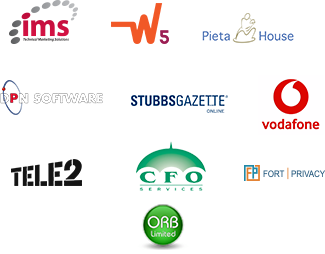 Wizuda’s CFS solution really helps us demonstrate to our customers that our file sharing systems are secure with auditing and reporting features and it enables us to prove we are handling their data compliantly under the GDPR,” said James Treacy. Wizuda’s CFS solution has also led to an increase in business at StubbsGazette: “Wizuda’s CFS has enabled us to demonstrate to our customers that our data transfer systems were very secure and there was an auditing and reporting system in place, so our customers could see how we treat their data. Not only has this increased trust among our customers, it has also increased business from them as a result”, explains James.